To many people, “motivation” is a magic word that can overcome any obstacle and enable them to be their best. In fact, they mainly use the psychological part of motivation at a basic level. Without the right direction and sufficient tools, motivation alone may not improve productivity and innovation, achieve your goal but increase stress-related health issues like insomnia, burnout, heart attack and stroke. “Can He Handle the Job?” is a good example. In addition, studies found that workplace stress is also #1 cause of turnover. Turnover and healthcare costs all contribute to human capital costs. IQ, EQ, behaviors, and personality are not enough to know talent. Below is a comparison between traditional piecemeal approaches and the 6Q Approach. To know self and others deeply is the first step for efficient motivation, including the psychological aspect. To motivate others and translate strategy into action is a key to build a level 5 leader or an exceptional CEO. 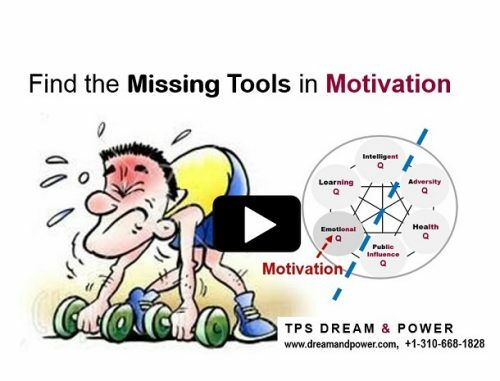 This video will tell you how to find the missing tools for motivation in talent management. Leadership style and compensation are other significant tools for motivation although compensation cannot motivate top talent the best.